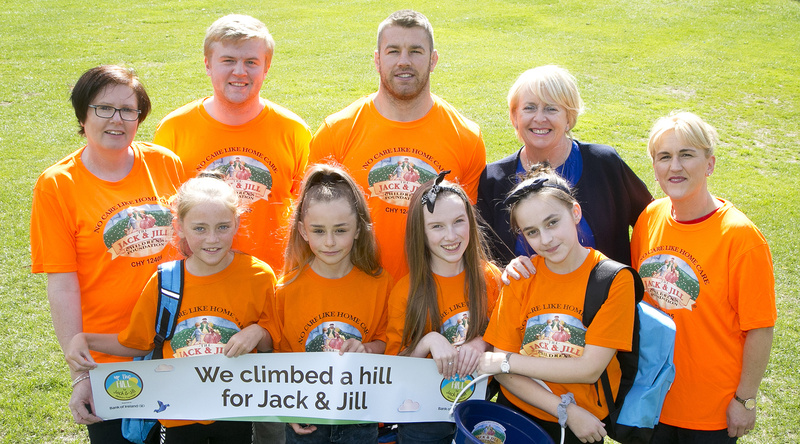 Wednesday 12 September: The Jack & Jill Children’s Foundation supported by Bank of Ireland have launched the ‘Up the Hill for Jack & Jill’s fundraiser 2018 which runs from 7th to 14th October. 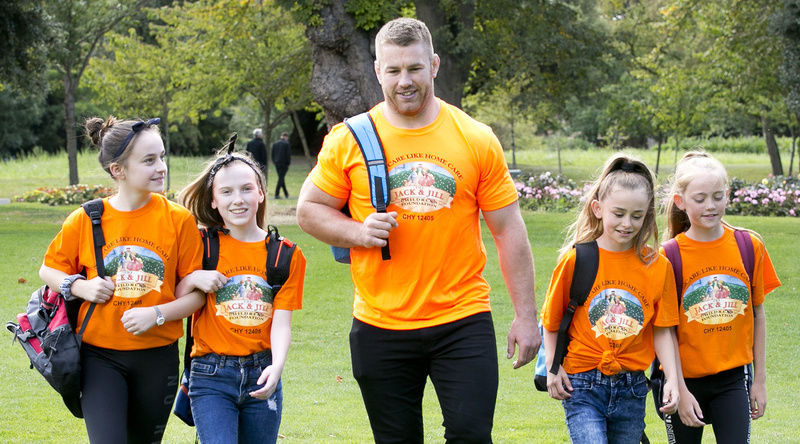 Seán O’Brien, Leinster and Ireland rugby player got behind the Jack & Jill team in asking people throughout Ireland to climb a hill to raise money for home nursing and respite care for sick children. This endorsement from Seán is shining a light on the important work the charity does in local communities and the hill that Jack & Jill families climb every day in caring for their sick child. Registration is now open for ‘Up the Hill for Jack &amp; Jill’ at www.jackandjill.ie/upthehill at a cost of €16 which funds 1 hour of home nursing care for a sick child. The fundraising campaign involves 6 organised hill walking events taking place in locations around the country on Sunday 7th October. These include Coomhola Ballylickey Cork, Croaghlin Maas Rock Killybegs Donegal, Castlecomer Discovery Park Kilkenny, Slievenamon in Tipperary, Hill of Uisneach Westmeath and Carrigbyrne Hill in Wexford. People can also register to create their own local ‘Up the Hill’ mini event during the first week in October. The Do It Yourself (DIY) option is open for people to identify their own hill or challenge. That could be organising a group of family and friends to walk up a big or small hill locally, getting on the treadmill in the gym or undertaking whatever hill is meaningful to them. ‘Up the Hill’ is part of Jack &amp; Jill’s first ever Awareness Week – #jackandjillweek running from Sunday 7th to Saturday 14th October, an important time in the charity’s calendar with the aim of building awareness and understanding about the work the charity does in communities all over the country and the hill that Jack &amp; Jill families climb every day caring for their child. A full programme of activities and events are planned with more details over the coming weeks and during #jackandjillweek.